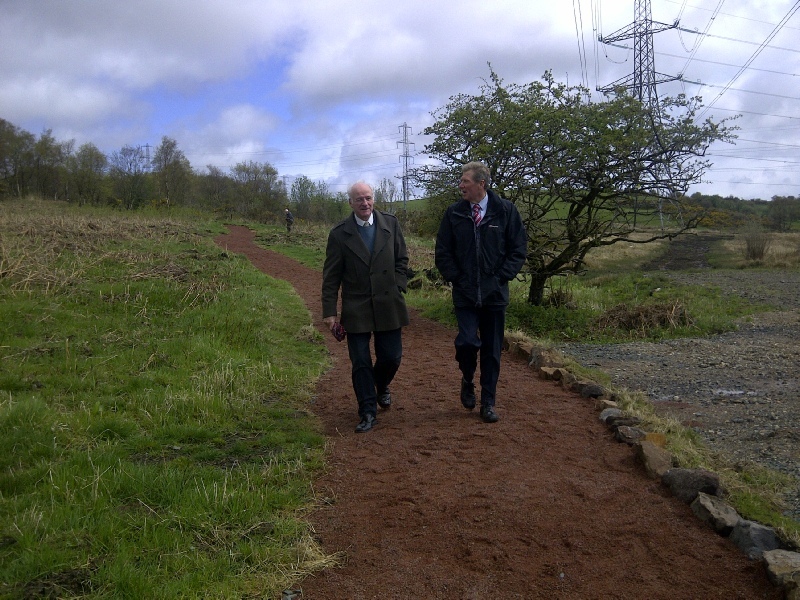 Justice Secretary Kenny MacAskill, MSP on the Whitehill Farm Path with Gil Paterson, MSP. 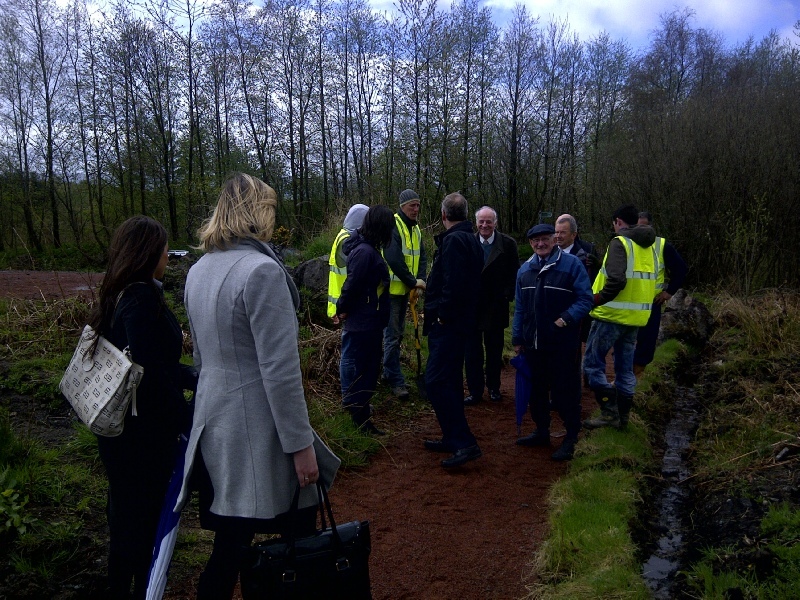 Justice Secretary Kenny MacAskill, MSP looking at the work done by the West Dunbartonshire Community Payback Team on the Whitehill Farm Path with Gil Paterson, MSP. The Rotary Club of Allander wrote to the Justice Secretary to tell him what a great job the West Dunbartonshire Community Payback Team were doing in constructing the Clyde Coastal Path. As the minister had appointments straddling the area, he decided to come and see us. We agreed to meet in the car park of the West Park Hotel but that day the weather was unsuitable for a car park meeting and we adjourned inside for hot drinks. 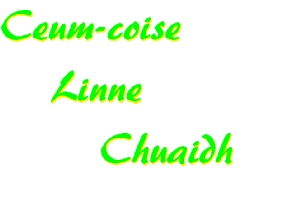 Fate smiled upon us, however, and by the time we arrived at the path, the sun was shining. The attire and the attitude of the folk in the photographs will tell you that it was still a snell day, if now dry. Our local MSP, Gil Paterson, was also present. Gil Paterson had opened the Thomas Wood Path the previous year and is now a kenspeckled figure round Allander Rotary Club.